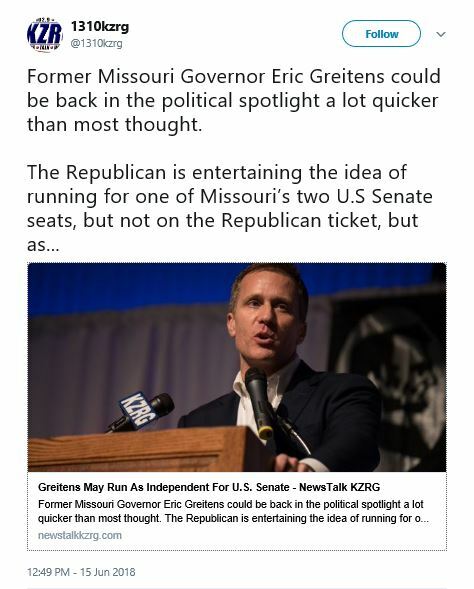 A number of e-mails were sent to a reporter stating that Eric Greitens (r) was talking about running for governor. Again. The reporter ran with the story. Wait, haven’t we heard this one before? 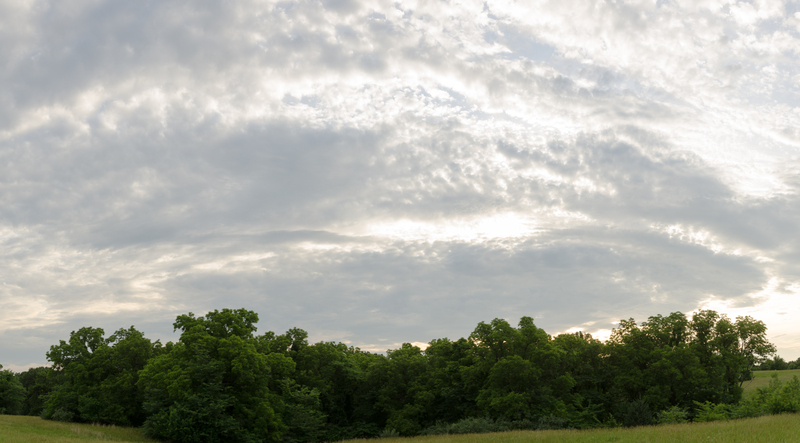 Oh yeah, the story fell apart almost immediately, but not before stirring the instant reactions you’d expect in various political circles in Missouri. Burned by confidential sources, even fake ones? Make the full [“fake”] emails in this story public. Somebody else might recognize the rat&%$#^@’s style of writing. Was it someone’s bad idea for an epic dirty political trick? Who benefits from all of this? There is a real story in there somewhere. ….The committee continued working through May 23, 2018. On that date, Greitens announced his intent to reign from office. He then submitted a resignation letter to the Secretary of Stte, effective at 5 p.m., June 1, 2018. Upon Greitens’ resignation, the committee no longer had jurisdiction to continue the investigation…. ….The overwhelming majority of documents received by the committee were, upon review, deemed not relevant to the committee’s investigation, or were not ued in any findings reached by the committee. Pursuant to the authority granted the committee and chairman….and after notifying counsel for certain parties, all documents received by the committee that were not used with a witness or as an exhibit are closed records…. ….In sum, please do not release the confidential documents that we made available to the Committee but that continue to belong to our clients…. And, apparently, the committee didn’t release those documents. Still, we’d sure like to know where that $1,975,000.00 campaign contribution came from. Former Gov. 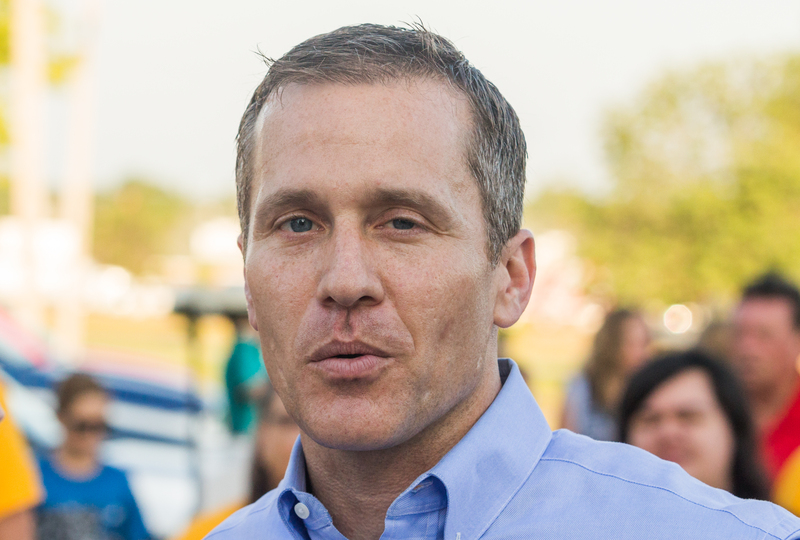 Greitens has called at least one donor to test the waters re: a 2020 gubernatorial primary. Back in the old days he would only need one donor. It’s too soon to tell what the primary crossover vote would be like. 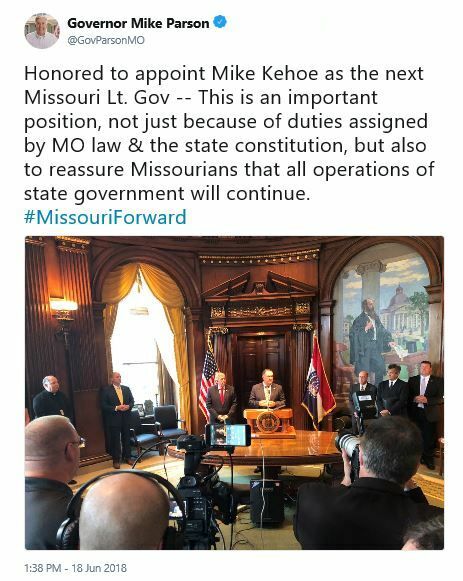 Interestingly, there’s no announcement (as of this posting) on the Governor’s web site. It’s your bill to pay, Eric. Over $150,000.00 for private attorneys. 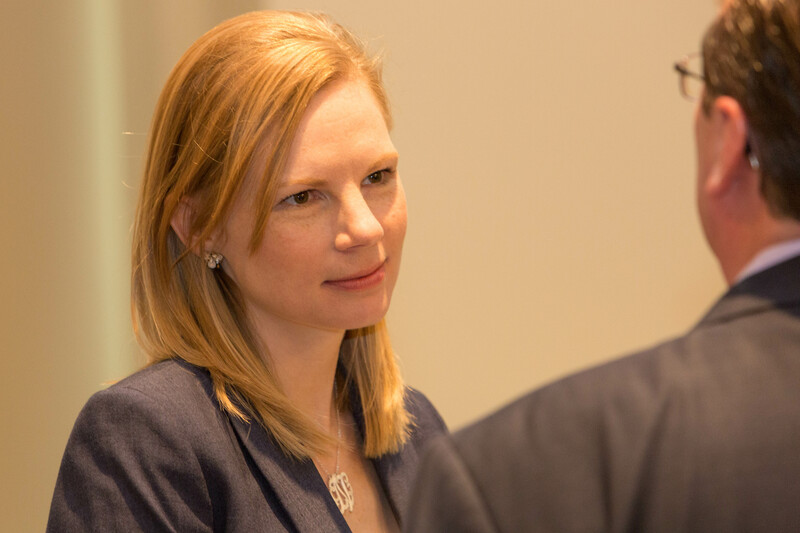 State Auditor Nicole Galloway (D) [2017 file photo]. State Auditor Nicole Galloway today released the following statement on the decision by the Office of Administration not to pay legal bills submitted by Eric Greitens’ private attorneys. 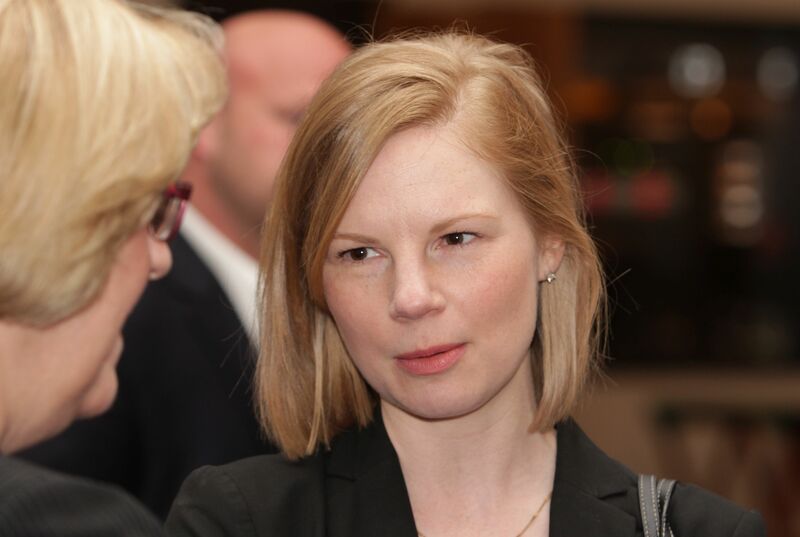 State Auditor Nicole Galloway (D) [2016 file photo]. $150,000.00, eh? He got away cheaply and the state is holding the bag. Jackson County Prosecutor Jean Peters Baker announced today that after a diligent review of evidence, she is declining to file further charges in the Eric Greitens case referred to her office last month. Baker’s office received a file from the Circuit Attorney of St. Louis on May 22, 2018. 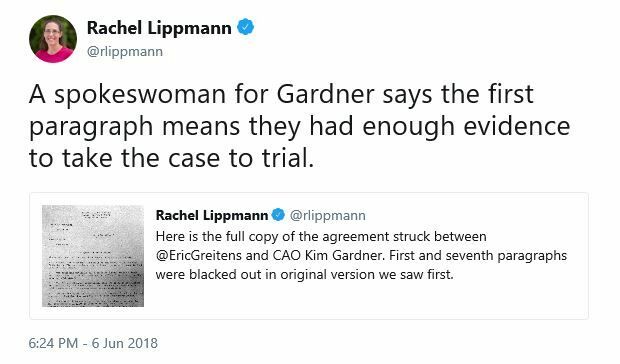 Since then, she and a team of assistant prosecutors have exhausted potential leads in examining submitted evidence and enlisting the Missouri Highway Patrol to investigate issues in this case. As of today, with a statute of limitations set to expire this weekend, Baker stated that her office did not have sufficient evidence to consider filing new charges in the Greitens case. Still missing was corroborating evidence for an invasion of privacy case, Baker noted. The Missouri House committee investigating former Gov. 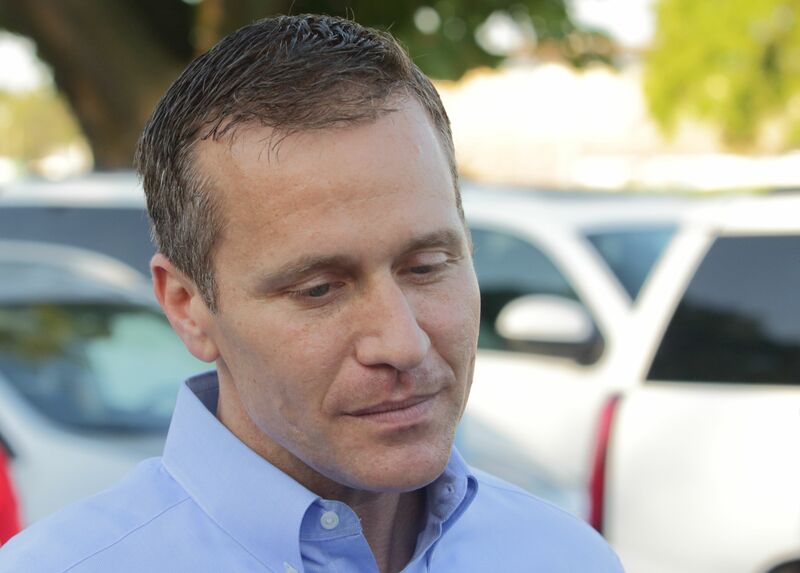 Eric Greitens has dropped its subpoena for records related to his campaign and pro-Greitens political organization A New Missouri.